Billy Cobham, Didier Lockwood, Richard Galliano, Alain Caron, Carlos Benavent, Eddy Louiss. 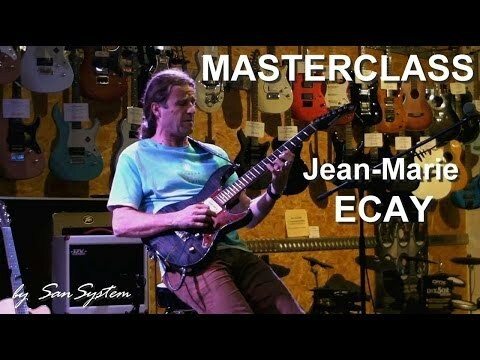 Jean Marie Ecay is a French basque guitar player, welknown for his great versatility. He participated in many projects, from jazz to pop, in live and studio with many artists such as Didier Lockwood, Richard Galliano, Alain Caron, Carlos Benavent, Eddy Louiss, Dee Dee Bridgewater, Niels Landoky, Claude Nougaro… and many others international artists such as Randy Brecker, Gino Vannelli, Eddy Gomez, Alex Acuna or Stanley Clarke has called JME for some collaborations when they was in Europe. Currently is playing with the Billy Cobham band since 2006. Jean Marie's 3rd CD "Gemini Mode" was released in September 2014.